When you bake a cake, you can combine the ingredients in almost any proportions, and they will still always be able to mix together. This is a little more complicated in materials chemistry. Often, the aim is to change the physical properties of a material by adding a certain proportion of an additional element; however, it isn't always possible to incorporate the desired quantity into the crystal structure of the material. 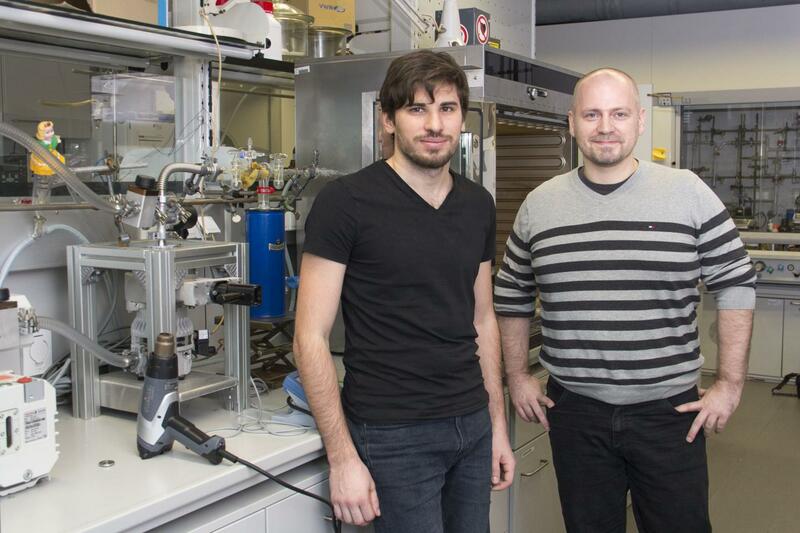 At TU Wien, a new method has been developed using which previously unattainable mixtures can be achieved between germanium and desired foreign atoms. This results in new materials with significantly altered properties. "Incorporating foreign atoms into a crystal in a targeted manner to improve its properties is actually a standard method," says Sven Barth from the Institute of Materials Chemistry at TU Wien. Our modern electronics are based on semiconductors with certain additives. Silicon crystals into which foreign atoms such as phosphorus or boron are incorporated are one example of this. The semiconductor material germanium was also supposed to fundamentally change its properties and behave like a metal when a sufficient amount of tin was mixed in – that was already known; however, in practice, that was previously not attained. One could of course attempt to simply melt the two elements, thoroughly mix them together in liquid form and then let them solidify, as has been done for thousands of years in order to produce simple metal alloys. "But in our case, this simple thermodynamic method fails, because the added atoms do not efficiently blend into the lattice system of the crystal," explains Sven Barth. "The higher the temperature, the more the atoms move inside the material. This can result in these foreign atoms precipitating out of the crystal after they have been successfully incorporated, leaving behind a very low concentration of these atoms within the crystal." Sven Barth's team have therefore developed a new approach that links particularly rapid crystal growth to very low process temperatures. In the process, the correct quantity of the foreign atoms is continuously incorporated as the crystal grows. The crystals grow in the form of nano-scale threads or rods, and specifically at considerably lower temperatures than before, in the range of just 140-230°C. "As a result, the incorporated atoms are less mobile, the diffusion processes are slow, and most atoms stay where you want them to be," explains Barth. Using this method, it has been possible to incorporate up to 28% tin and 3.5% gallium into germanium. This is considerably more than was previously possible by means of the conventional thermodynamic combination of these materials – by a factor of 30 to 50. This opens up new possibilities for microelectronics: "Germanium can be effectively combined with existing silicon technology, and also the addition of tin and/or gallium in such high concentrations offers extremely interesting potential applications in terms of optoelectronics," says Sven Barth. The materials would be used for infrared lasers, for photodetectors or for innovative LEDs in the infrared range, for example, since the physical properties of germanium are significantly changed by these additives.